Well guys…it’s almost here! 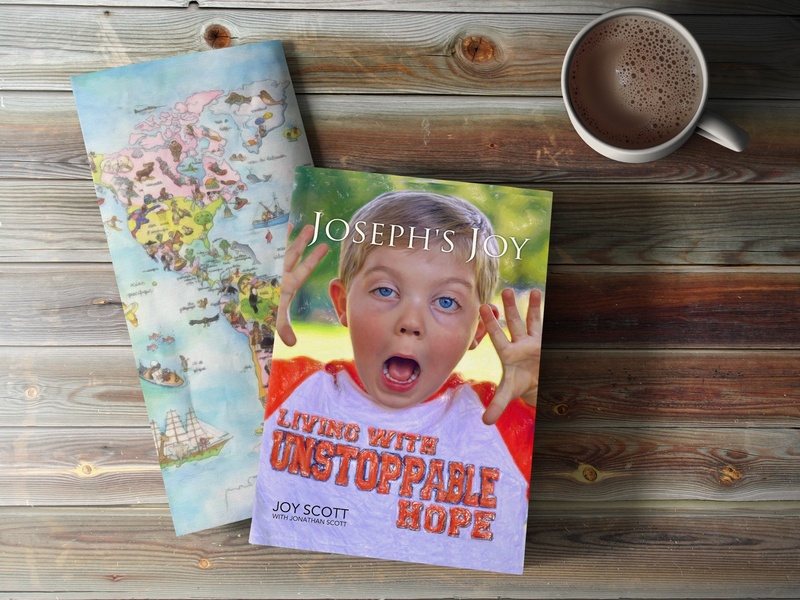 Jon and I have a date for the release of Joseph’s Joy: Living With Unstoppable Hope. Drum role please. May 4, 2015. I exhale with a sigh of relief while my heart simultaneously explodes with joy. I began writing Joseph’s Joy in the months following Joseph’s death just over three years ago. My intention for writing about the events that took place throughout the course of Joseph’s battle was simply to share about the goodness of God to us – even in the midst of this tragedy. God never left us. He was so near and good. My primary motivation was that I wanted Joseph’s younger brother, Josiah, to know the truth about what happened since he was only three years old when Joseph passed away. The boys were the best of friends and only fourteen months apart. I wanted to be able to explain things to him later. Not wanting to forget the details myself, I also wanted Josiah to know about all of the miracles we encountered along the way. So…I started writing one tearful sentence at at time. As I recalled everything that happened and put words to our experiences, I heard the Holy Spirit whisper to my heart, “This is not just for you.” Intrinsically I knew that our story was meant to be shared. As a complete novice in writing a book, I transformed my journal writings into chapter titles. One chapter at a time our story came to life! A real-life story that brings unstoppable hope. God truly directed my every word and I am humbled at the powerful message of this book – which has nothing to do with me, but everything to do with how loving God is. I would like to personally invite you on an intimate journey! How many of you know that you are supposed to write your story? Please share with me.